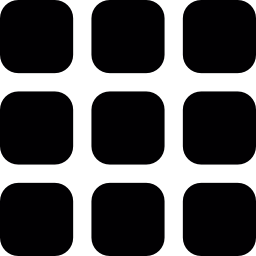 Close your eyes and imagine a t-shirt. 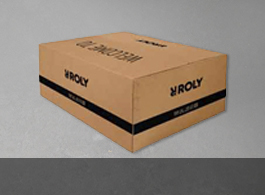 In Roly we grant you the colour, the design, the price and the quality you have wanted. Because we work intensely so that, every day of your life, you look as different as your emotions. Comfortable, daring, short sleeves or suspenders, long or short, narrow or wide; There are as many versions of plain shirts as colours, but all are designed exclusively to satisfy your desires. The ways of fashion are irrefutable and its language a philosophy open to all looks. This garment is the result of the prayers of each year. That's why in Roly they are the star of all seasons. Trends change, needs too. The fashions return. This year the catwalks show protest t-shirts and the big companies offer them as the top that are going around the world. The society is mobilized with phrases embodied in promotional t-shirts. Men, women and children wear their basic with protest messages, and the big brands donate the benefits of their sales. 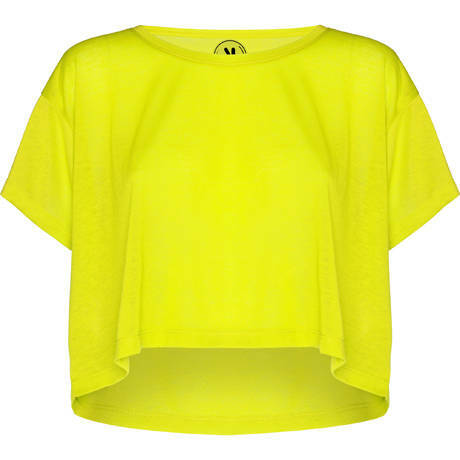 At Roly we have clear needs and we like current and trendy garments. Luckily, fashion always gives us a hand. 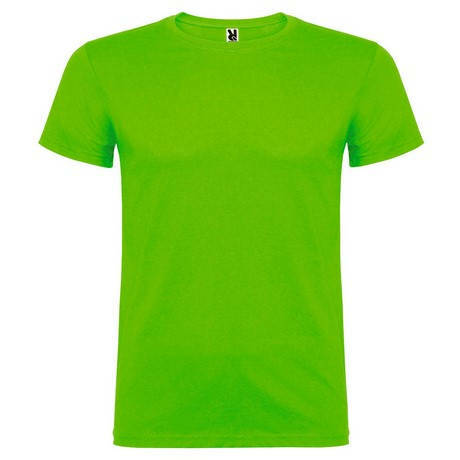 Because our t-shirts are created from the sign of quality, followed by diversity in current colors and shapes. Our "insider" collections are ready to receive any trend, be it claiming or merchandising, (like the typical Coca-Cola), the one that is totally grunge, or the one that leans towards breast cancer or feminism . And what are you inclined for? Younger kids also deserve being in fashion. 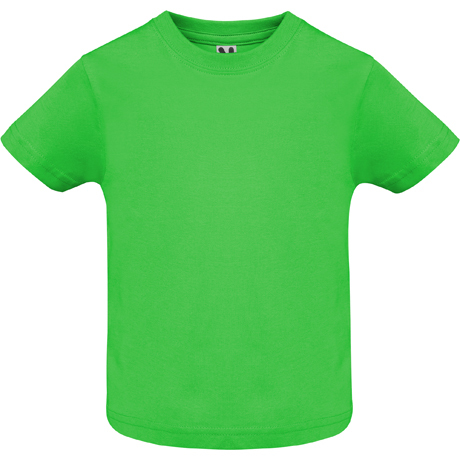 Short sleeve T-shirt Baby is made with fabric in fine gauge and compacted finish, the best for their skins. In addition, it has an opening in the shoulder with snap fasteners. 100% kokvilna. Blīvums: 160 gsm. 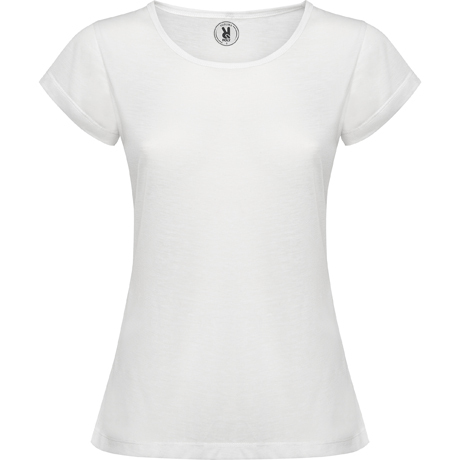 Irreplaceable basic t-shirt in any wardrobe. One that can not miss every week in your look. 100% kokvilna. Blīvums: 150 gsm. 4 slāņu apkakle, dažādu krāsu kombinētais T-krekls. Ar vīlēm apstrādātas plecu līnija un apkakle, sānu vīles. 100% kokvilna, blīvums: 175 gsm. 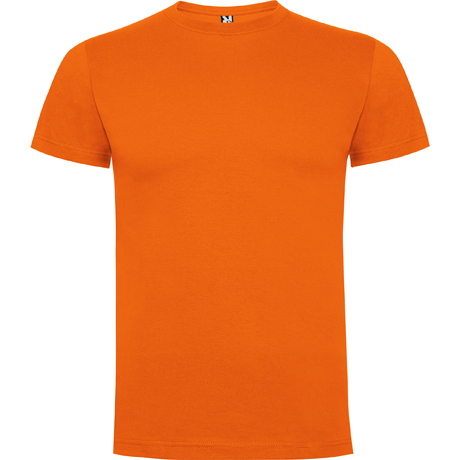 Short sleeve t-shirt Beagle features elastane at the neck and is made in a tubular fabric. A Roly bet for comfort and softness. 100% kokvilna. 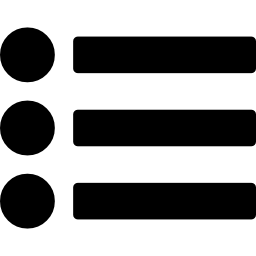 Blīvums: 155 gsm. When temperatures increase there are garments that should not be missing and Sublima Stroke is one of them. A fitted t-shirt with straps for women, perfect for personalizing thanks to its fabric with special treatment for sublimation. 100% poliesters ar kokvilnas tekstūru. Blīvums: 80 gsm. Dogo Premium T-shirt is the must have in every wardrobe. With a unique range of colors available for children and in unisex design, it is impossible not to find your ideal tone. 100% kokvilna. Blivums: 165 gsm. Sublima Woman is a basic in any wardrobe. 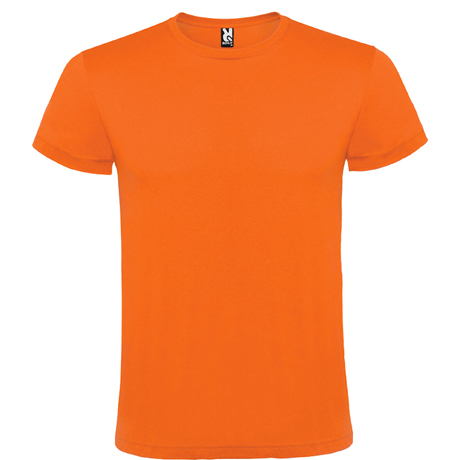 A fitted short sleeve t-shirt with round neck. 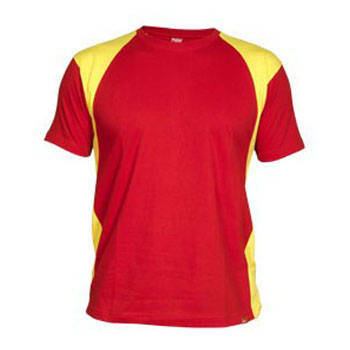 In addition, thanks to its special fabric for sublimation, it is a perfect design to personalize your t-shirt. 100% poliesters ar kokvilnas tekstūru. Blīvums: 80gsm. 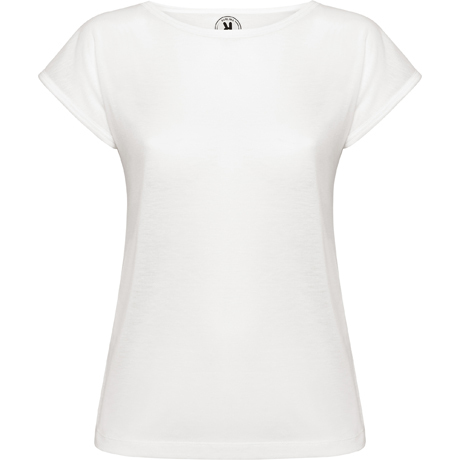 Sublima Titanic is a white short sleeve t-shirt for women. Perfect for personalizing thanks to its special fabric for sublimation. It has a boat-style neck and side seams. Cella is an oversize garment that guarantees comfort for your day to day. 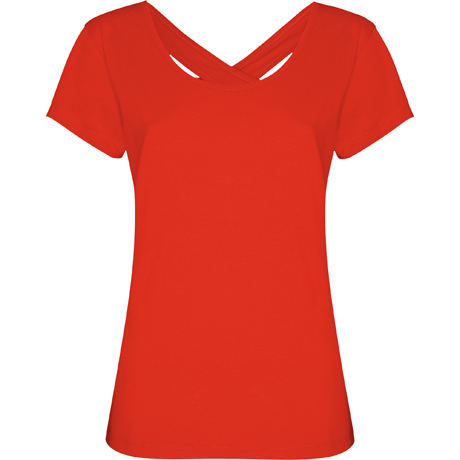 Cella is a short top with rounded neck that gives you comfort without giving up the latest trends. 100% poliesters, kokvilnas ielaidums, 120 gsm. Agnese is the evolved short sleeve t-shirt. 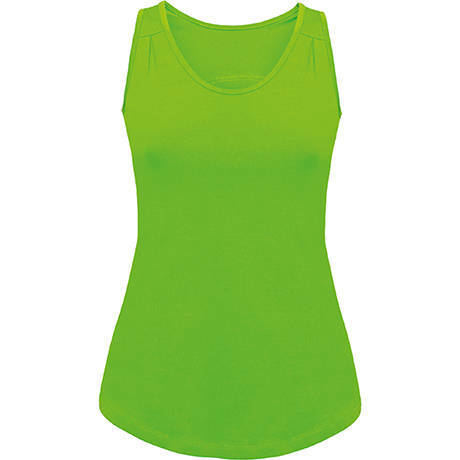 With rounded neckline and cross back with tear-shaped. In addition, it includes the Roly treatment that gives the garment a great softness. Enjoy the sport with maximum freedom thanks to the Carolina tank top. With swim back style, available in 7 colors and 100% cotton. 100% kokvilna, 1x1 maliņa. Blīvums: 220 gsm. Nadia is a fit design that allows you to move freely during your workouts. 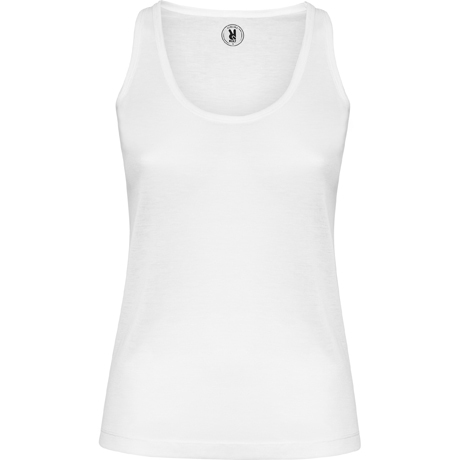 A tank top perfect for the hottest days. 95% kokvilna / 5% elastāns. Blīvums: 200 gsm.